Simply put: I shop a lot. Whether it’s research for my job, casual window shopping, cyber–window shopping, or actually buying things (my vice), let’s just say I get a lot of exposure to consumer goods. And while this might not be the best thing for neither my bank account or my ever-expanding closet, it is great for you, our dear readers, because I get to share with you the best of my findings. So what’s on the docket today? Something put me in the mood to have some fun and round up only the coolest items I’ve come across as of late. 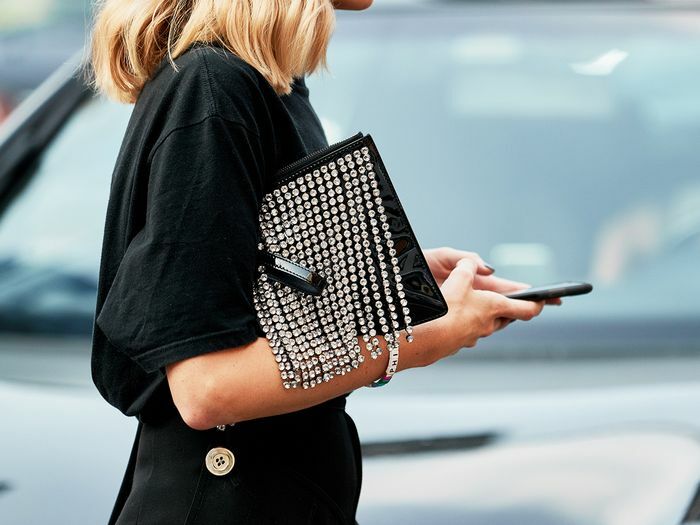 From dresses I may only see in my dreams to statement shoes I’ve actually made the splurge and purchased to seemingly simple tops that just have that X factor, continue on for the coolest pieces I’ve laid my eyes on this month. Are you kidding me with this coolness? I love the idea of wearing your sign instead of an initial. Mixed prints taken to the next level. There's something about this tank that makes it so much better than any other I've seen lately. I don't know what's better—the cut of this ready-to-layer jumpsuit or the print? Tube tops will always have a place in my heart. It takes a lot for a pair of sunglasses to stand out these days, but these have done it. Wear it with jeans all season. I highly suggest clicking on this to see the cutout detail up close. May or may not have already ordered these beauties. The fleece to beat all other fleeces this season. So happy that the bike-short trend is sticking around. How to make a straw bag winter-ready. This two-piece set can be worn separately or together! Cinderella, but make it 2018. These draped crystals go all the way around the dress to the hem, and it's just beautiful. If you haven't picked up a pair of western boots for fall yet, I highly suggest these. This seemingly simple T-shirt is actually ruched at the waist for a flattering look you don't have to fuss over. One of the best bags spotted at fashion week. If you're going to brave the rain, why not do it in this? True story: I'm waiting for these to come back in stock in my size. Why not wear baby angels? The size, the color, the embossing, the shape! Another one I suggest clicking into—you have to see the adorable fringed crystal detailing on the zipper. Make any outfit more interesting with these. The coat of all coats. How do they keep finding ways to make these earrings even better? !